Whether you’re a business traveller or a tourist, the Crowne Plaza Brussels is an elegant, comfortable hotel in the city centre. In my old life working for large multi-national software companies, I spent a lot of nights at hotels around Europe. Name a hotel chain and I’m sure I’ve stayed in at least one of their properties. One of my preferred hotel chains as a business traveller was the Crowne Plaza. 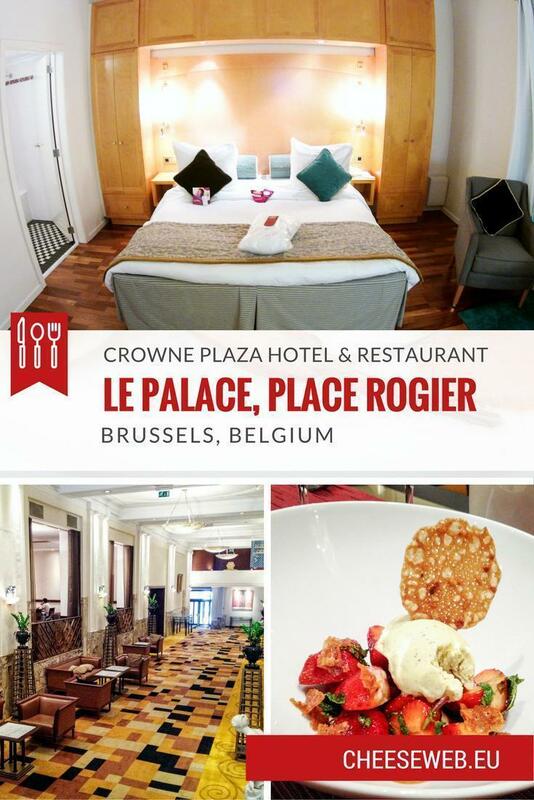 During a recent trip back to Brussels for some administration (story to come soon), I had a chance to stay at the Crowne Plaza Brussels – Le Palace, just off Place Rogier, near Brussels North station. I’ve stayed at the Crowne Plaza in Antwerp and Alison spent a night at the Crowne in Liège, but neither of us had even been inside Le Palace, despite it being just around the corner from our house. Obviously, the benefit of brand name hotels is consistency. When I was travelling for business, I was often on a tight timeline, tired after a day of travelling and meetings, and all I wanted was a comfortable bed with as few hassles as possible. The bed at the Crowne Plaza Brussels was definitely comfortable, but what surprised me most was how different it was from a typical business hotel. The rooms in Le Palace are spacious and appear to have been updated recently. The décor is contemporary but nothing like the sterile atmosphere of many modern hotels. The warm wood tones in the floor and cabinets make the room comforting after a long day wandering around the city. The large comfortable bed drew me in as soon as I arrived, beckoning me to relax. 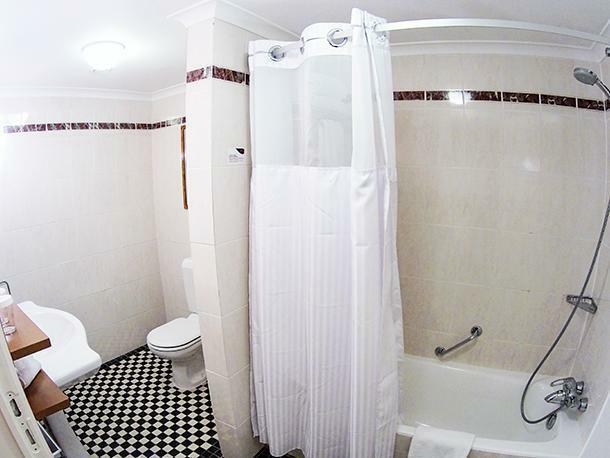 Ignoring the siren call of the bed, I discovered the bathroom was equally spacious, including lots of room around the sink for toiletry bags. Comfortable chairs next to the windows, overlooking the park surrounding the botanical gardens, were a perfect spot to sip a cup of coffee while working. 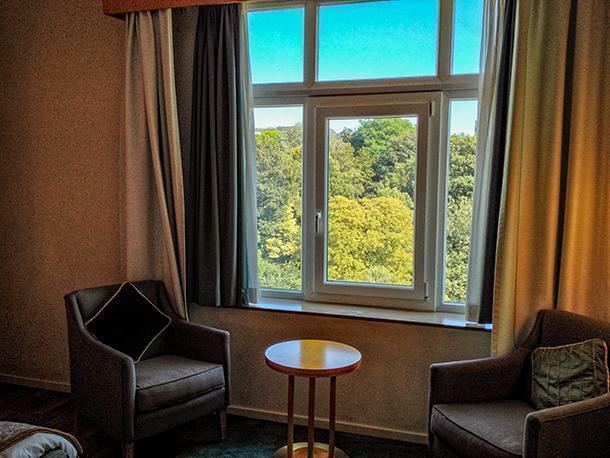 Hotel room with a view over one of Brussels’ pretty green spaces. Space for toiletries next to the sink? Check. Complimentary bottle of water? Check. And so on. My only nit-pick would be for a nicer shower head and more water pressure. I had a deliciously quiet night at the Crowne, despite being next to Place Rogier and the traffic on Brussels’ inner ring. When I turned out the light, I heard nothing until I awoke and even then I had to strain to hear something. The next day I stuck around to check out the Nouveau Taste Restaurant on the ground floor of Le Palace. Frequent readers will know we have fallen in love with Chef Matt MacKenzie’s creations at the Crowne Plaza in Fredericton. Chef Matt has set a high bar not only for local restaurants in Fredericton but also for Crowne Plaza restaurants around the world. Now, I don’t expect every Crowne Plaza to have restaurants as unique as the one in Fredericton, but I do have high expectations for lunch in a city as international as Brussels. Fortunately, Le Nouveau Taste Restaurant delivers. Featuring a number of Belgian specialities, Le Nouveau Taste Restaurant will also pair your meal with wine or local beer. As I had been tasting the local beer throughout my trip (of course! 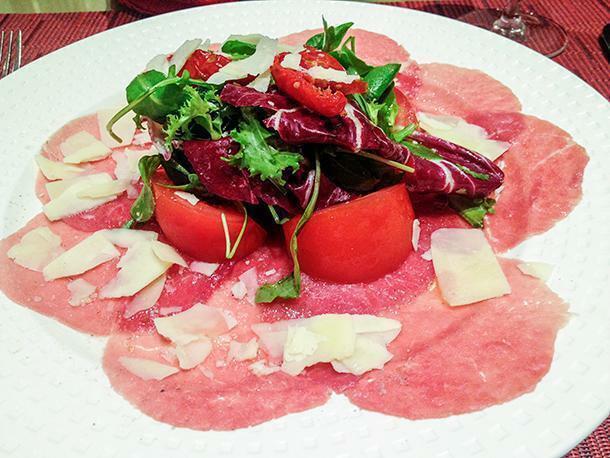 ), I decided on a glass of red wine to accompany the main course of tender beef carpaccio. Carpaccio is not something you find very often in eastern Canada so it was a real treat. 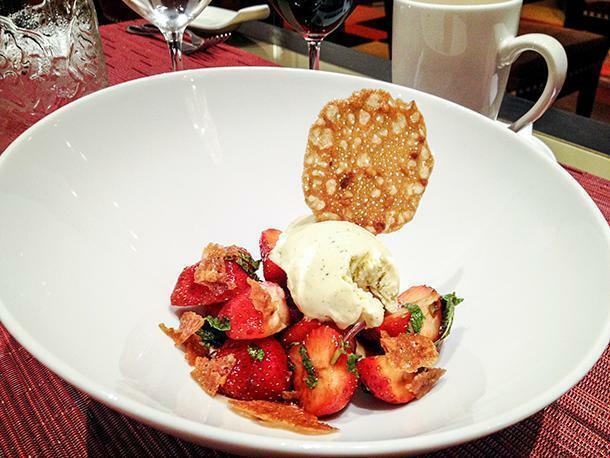 I finished my meal with delicious fresh strawberries served with balsamic vinegar and topped with vanilla ice cream. It was a perfect lunch before heading back out onto the city streets. Although I think of Crowne Plazas as being a chain of business hotels, the Crowne Plaza Brussels will appeal to a broader audience. Its location on the edge of the city centre and next to the business district, proximity to a major metro station, and position next to Brussels’ biggest shopping street makes Le Palace appealing to tourists and business travellers alike. The onsite restaurant options will accommodate most guests’ tastes although there are plenty of other food options a short walk away. 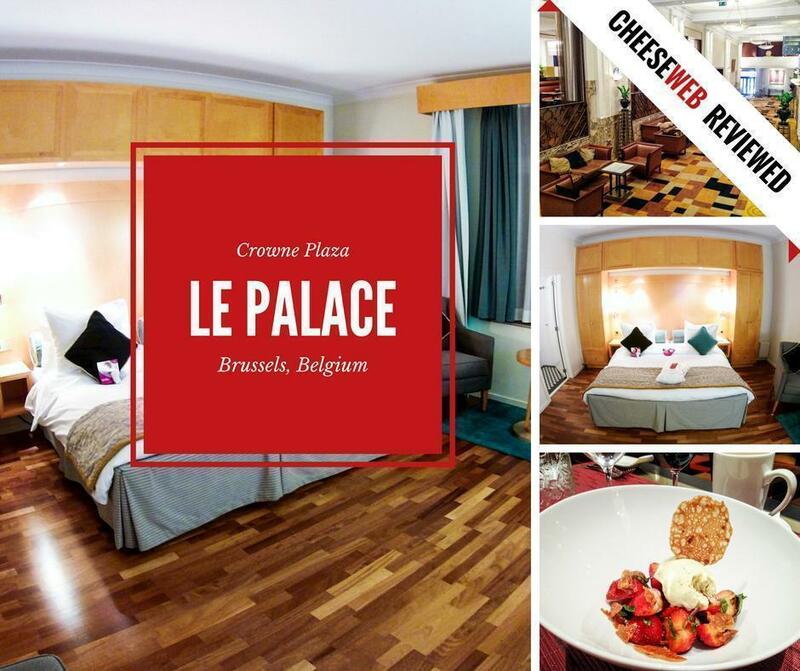 The Crowne Plaza Brussels – Le Palace is an excellent choice for people visiting Brussels. 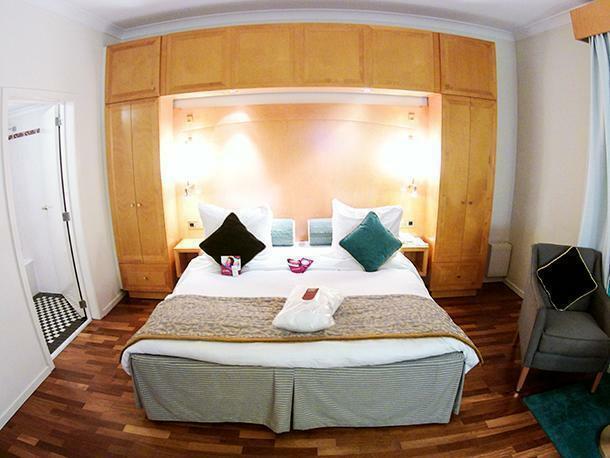 It has a contemporary look but retains a sense of elegance and warmth missing in more modern hotels. 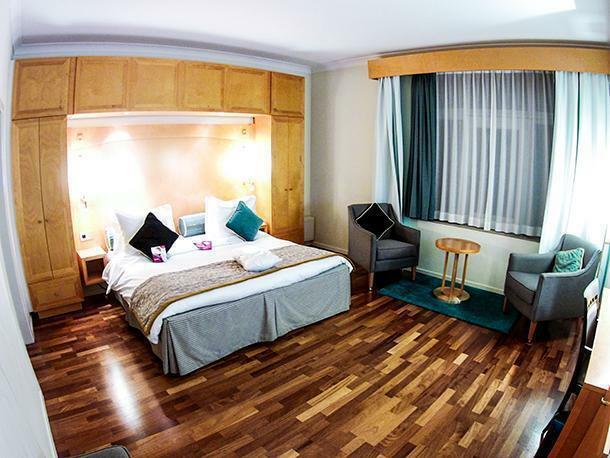 Finally, its location gives guests the flexibility of working nearby and exploring the city after hours. It’s the best of both worlds for people travelling to Brussels. 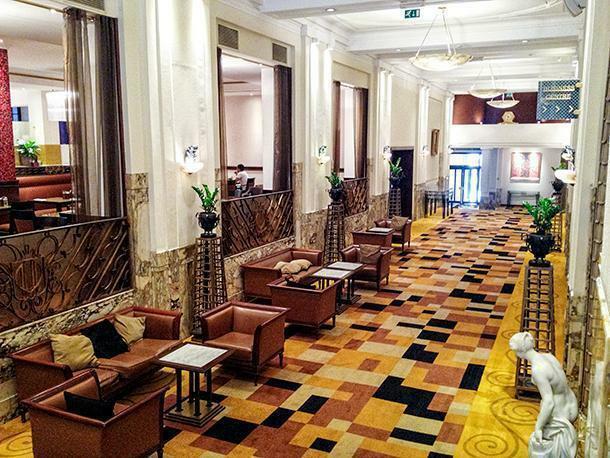 We’d like to thank the Crowne Plaza Brussels for hosting Andrew during his stay in Brussels. 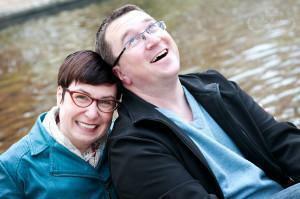 As always, all opinions expressed are our own.